Labor activist César Chávez established the headquarters of the United Farm Workers of America (UFW) at Nuestra Señora Reina de la Paz in the Tehachapi Mountains of Kern County, California in 1972. “Our Lady, Queen of Peace” in English, the compound is commonly called La Paz. As the headquarters of the UFW, La Paz is of great historic significance for its role in the 20th century labor, civil rights, Chicano, and environmental movements, and for its association with Césario Estrada Chávez (1927–1993), the leader of the United Farmworkers of America, which became the voice of the poor and disenfranchised. The 187-acre property just north of Keene, California, contains 26 historic buildings and structures, as well as the César Chávez Memorial Garden and burial site. La Paz continues to serve the UFW and its related organizations, and its visitor center is open to the public. On October 8, 2012, President Barack Obama issued a proclamation establishing the La Paz property as the Cesar E. Chavez National Monument. The National Park Service will manage the site. On the same day, the Nuestra Señora Reina de la Paz was designated a National Historic Landmark. Early development of the La Paz site began in 1913, when the Kern County Highway Department opened a rock quarry near Keene. The county government built four wood-frame buildings, a road, and water and sewer infrastructure. Two of the quarry buildings are still on the property, though they are moved from their original sites. In 1917, the county shut the quarry down and a year later, the California Bureau of Tuberculosis chose the property for a new sanatorium for TB patients, called Stony Brook Retreat. Over the next fifty years, Stony Brook built dormitories, hospitals, a schoolhouse for young patients, garages, storage sheds, administrative buildings, and new roads. 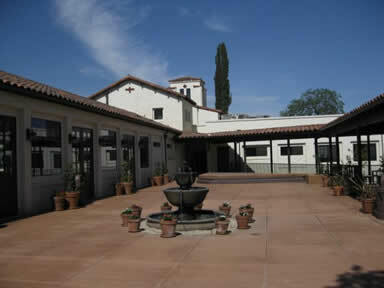 By the time the sanatorium closed in 1967, the compound was prepared to accommodate California’s labor activists, and three years later the United Farm Workers, led by César Chávez, chose the property to establish the Nuestra Señora Reina de la Paz Educational Retreat Center. Born in 1927, César Chávez grew up under some of the worse economic conditions brought on by the Great Depression. Prior to the crash, his family owned and operated a grocery store, auto repair shop, and a pool hall at their homestead near Yuma, Arizona, but lost it all in the 1930s. After losing his land, Librado Chávez – César’s father – became a migrant worker whose family traveled with him, sometimes living out of their car. The Chávez family drew strength from their former status as landowners and their social ties in the face of low wages, racism, and unsafe working conditions. Librado was a member of the United Cannery, Agricultural, Packing and Allied Workers of America, and Chávez once said his family never hesitated to join their fellow workers in a strike. In 1944, Chávez enlisted in the U.S. military and served in the Navy for two years until his honorable discharge at the end of World War II. After the war, Chávez returned to California and to migrant agricultural work. He married Helen Fabela and they had eight children together. In the 1950s, Chávez’s earlier exposure to labor activism evolved into an interest in organizing farm workers. He joined the Community Service Organization, but quit in 1962 when the majority of CSO members refused to put rural labor on their agenda. Afterward, Chávez moved to Delano, California, and helped fellow labor activists Dolores Huerta and Gilbert Padilla found the National Farm Workers Association, a forerunner to the United Farm Workers of America. 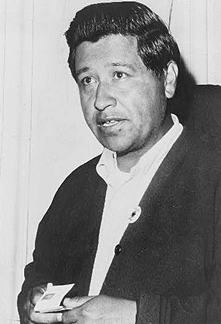 Chávez participated in the Delano table-grape workers strike of 1965, which Filipino farm workers initially led, and his contribution to Mexican-American and Filipino-American unity during the strike is part of his legacy. In 1966, the organized farm workers purchased 40 undeveloped acres in Delano and built a labor community there from the ground-up. Called Forty Acres, and also a National Historic Landmark featured in this itinerary, this property was the headquarters of the newly-formed United Farm Workers Organizing Committee before the organization moved to Keene in 1972. 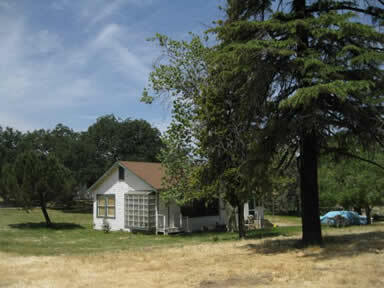 The United Farm Workers Service Center received a tip in 1970 about a 187-acre developed property up for public auction in Keene, California. Though the county refused to consider the UFW’s offer to buy it, a wealthy supporter of the organized farm workers managed to buy the property, the closed Stony Brook Retreat, at auction without revealing his association with the UFW. The benefactor, a movie producer, first leased and then later sold the property to the UFW. The old sanatorium officially became the UFW headquarters in January 1972. Chávez chose to settle at the ranch in order to move the organization away from Delano. He hoped the move would give the UFW a chance to broaden its mission and distance itself from the day-to-day demands of labor activism. By 1971, the UFW was a full affiliate of the American Federation of Labor and Congress of Industrial Organizations (AFL-CIO) and officially named the United Farm Workers of America. As president of the UFW, Chávez helped the organization build La Paz to create a peaceful refuge for the farm worker leaders, members, and supporters, as well as a home for himself and his family. For the labor activists, La Paz became a symbol of the UFW’s future beyond California’s grape fields. The UFW settled into its new home in Keene and its new identity as a full union in the 1970s. During the decade, up to 200 people occupied La Paz. Some, like the Chávez family, lived there permanently, but most visited to attend strategy classes and UFW meetings. The labor newspaper El Malcriado and the Radio Campesina radio station had offices at La Paz, and there was a school for the children of visitors and residents. The residents lived and worked together, sharing meals, gardens, worship services, and celebrating milestones as a community. From La Paz, the UFW led a national lettuce boycott and fought to pass the California Agricultural Labor Relations Act of 1975. This legislative victory for the UFW was also the first law in the United States to give agricultural labor unions organizing and collective bargaining rights. The ALRA’s supporters celebrated at La Paz after the bill passed. In the 1980s, Chávez led another grape boycott to protest the harmful pesticides used in the fruit’s production. In 1988, to raise awareness of the issue, Chávez conducted his third and longest fast at Forty Acres, where he went 36 days without consuming anything but water. After he ended his fast, American celebrities and activists carried it on for him. In April 1993, Chávez died in his sleep. Tens of thousands of mourners attended his funeral service at Delano and then, according to César’s wishes, Helen Chávez buried her husband at La Paz. In 1994, President Clinton posthumously awarded Chávez the Presidential Medal of Freedom. In 1999, the U.S. Department of Labor inducted Chávez into the Labor Hall of Fame as its first Latino member. In 2012, the Navy launched USNS César Chávez, a cargo ship named to commemorate Chávez’s influence in the struggle for freedom and justice in the United States. Today, he is recognized as the historic leader of California’s migrant farm workers, for what he and the UFW did to empower and improve the welfare of farmworkers and their families throughout the nation, and as the symbolic progenitor of Latino American and Chicano civil rights movements throughout the nation. At La Paz, the United Farm Workers and associated organizations continue to operate from the historic buildings the labor community renovated, rebuilt, relocated, and modernized over the decades once the organization moved there from the Forty Acres in 1972. Twenty-three buildings, one site, and three structures contribute to the historic significance of the 187-acre property. Most of the historic buildings have Craftsman/California Bungalow or Spanish Colonial architectural features. The oldest buildings are the Trust Funds Management Building and one house, which Kern County built to serve the rock quarry workers. Between 1918 and 1967, the Stony Brook Retreat constructed the Dormitory Building, Financial Management Building, Cafeteria Building, Storage Unit, three Garages, Villa La Paz Conference Center, and five houses. One of the five houses from the sanatorium era is the Chávez House, where César and his family resided. After settling at La Paz, the United Farm Workers community built the Quonset Hut, a second Storage Unit, Administration Building, three Manufactured Housing Units, Telecommunications Building, and a house. They also installed two structures, the Water Tank and Satellite Dishes. The Road System structure that connects the buildings developed throughout the 20th century and most of its pathways are unpaved. The single contributing site is the César Chávez gravesite in the Memorial Garden. The Cesar Chavez Foundation operates the National Chávez Center at La Paz today. This educational and memorial center includes the garden at Chávez’s burial site and a visitor center. The visitor center at La Paz is located in a replica of the original 1914 quarry building that Chávez used as his administrative headquarters. The Smithsonian recorded the layout and catalogued the contents of the building before the UFW razed the building in 2003. Constructed to the same specifications and on the foundation of the original, the new building, the National Chávez Center, curates the Chávez office and library according to the Smithsonian’s record of the rooms. The visitor center, which offers free parking, also contains exhibits, a gift shop, and conference space. 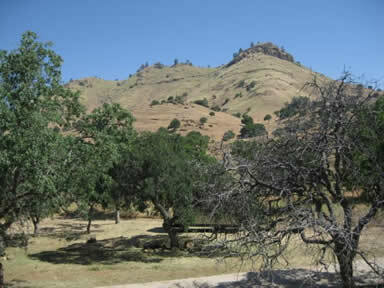 The Cesar E. Chávez National Monument, Nuestra Señora Reina de la Paz National Historic Landmark is located at 29700 Woodford-Tehachapi Rd. in Keene, CA, north off California State Route 58. The National Chávez Center and Memorial Garden is open daily from 10:00am to 4:00pm, except on major holidays. Admission is $3. For more information, visit the César Chávez Foundation website or call 661-823-6134. The Cesar E. Chávez National Monument, Nuestra Señora Reina de la Paz National Historic Landmark is also included in the Places Reflecting America's Diverse Cultures: Explore their Stories in the National Park System Travel Itinerary. César Chávez and the Chicano Movement are featured in Five Views: An Ethnic Historic Site Survey for California.